We just love when designers choose to think outside of the box and create something unlike anything else we’ve ever seen! This creative thinking is what sparks new and lasting trends, especially for the interior design world. Today’s feature spotlights a unique home design that promotes childlike wonder and playful vibes. 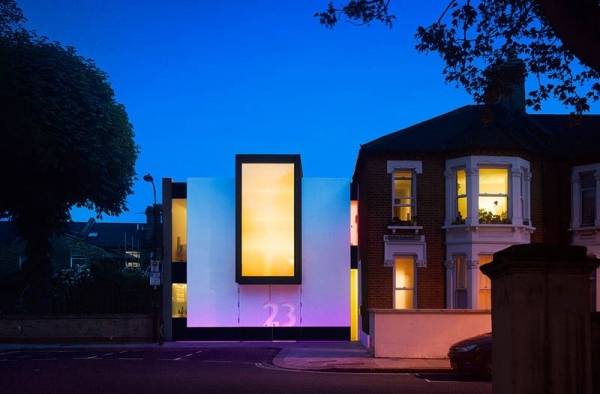 This home was designed by Matt White, an architect based in West London. He owns his own firm, called MATT Architecture, so we are pretty sure that it was quite east for this vision to come alive with the right resources. We absolutely love the use of words and expressions that are cleverly placed throughout this unique home design. 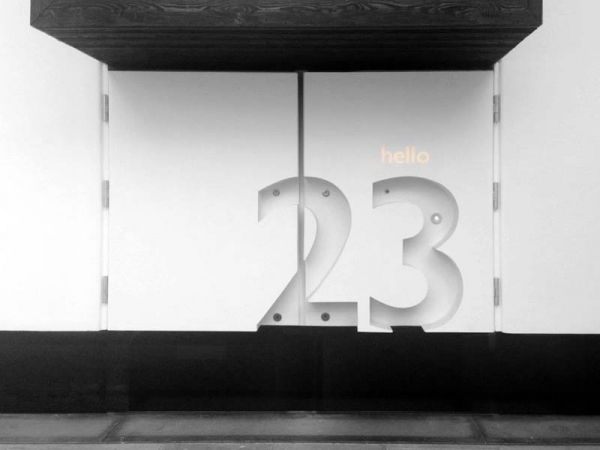 The front door instantly gives us a joyous welcome with the number 23, which just so happens to be the nickname for this home thanks to its literal address. As we walk further into the home, we can see more fun features that promote vivid imagination, such as the surprise message in the bar area (for grown-ups of course), a colorful wall to climb just for kicks, and the mug-lettering work highlighted by an exhilarating shade of green. Another cool feature of this unique home design is that White made sure that it was not only an entertaining place to live, but also a home that was cost-efficient for affordable and reasonable energy costs. We don’t know about you, but this house would be a dream for a person who enjoys a minimalist, yet lively approach to life. It is a place that provides excitement for both adults and children in a spacious way. It doesn’t get any better than this!